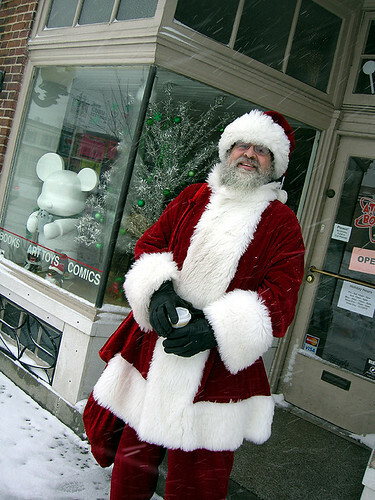 Santa will be on the Avenue from 11am to 5pm, Dec 15th and 16th and again the 22nd and 23rd, visiting the shops! Sunday, the 16th, he’ll be stationed at Soft and Cozy Baby, 2-3pm. And the following Saturday, the 22nd, at Spro, 2-3pm, and Soft & Cozy Baby Sunday, the 23rd from 2-3pm. Tell him how good you’ve been this year!